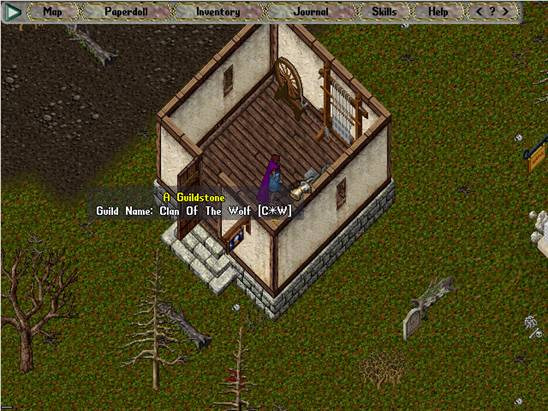 19 years ago, after months of me killing bunnies and making fancy shirts from their fur, Temmy messed up placing the guildstone. 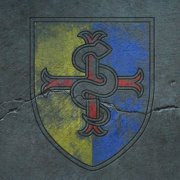 Unlike so many other guilds, we are still here! Even more unusual, we still have 4 of our original members, and know where many more members are. Despite our small size, we are making our mark in yet another game. We are known, we are honorable, we are slighly insane. We are Clan of the Wolf. Here is to 19 more years! Before the latest telethon, the Devs ran a contest for a complete set of crafted gear. The pack and some special friends pulled together and I was able to create a very nice set of armor/weapon. Though I wasn't able to win a prize, I did get an honorable mention, which is great considering I was up against some nice sets from guilds with a lot more resources than us! Click the link to see mine and all the other sets! Did you know that our very own Justyn has her own radio show? Tune in at 8pm central to hear her live! You can even send requests! Look around the site and you can also find links to interviews with Justyn, Temujin and very soon Mother! Happy 60th to longime member Derfus!! YAY! You made it this far!